A 31 year old ordained Southern Baptist Preacher. Stephen was involved in the hip-hop music scene for some 15 years, until repenting one August night in 2012. He afterwards became a Christian artist for a short while until becoming a preacher in the summer of 2013. 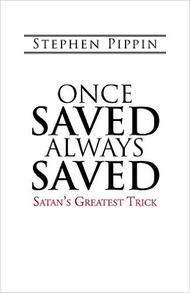 Further elaboration is given in his book: “Once Saved, Always Saved: Satan’s Greatest Trick.” To hear some of Stephen’s music or see some of his sermons, click on the Music or Video tabs above. Enjoy! Just as John the Baptist readied the people for the Lord & Savior Jesus Christ, so should there be others in the modern time doing the same. As the old saying goes: “If not here – where; If not us – who; If not now – when” Let revival begin!!! Visit Minister Stephen Pippin for more information. This entry was posted in Award, celebrity, honoree, Recognition and tagged 2015, evangelist, Jesus Christ, Lord, minister, Monday, November 16th, ordained, positive, preacher, revival, Savior, Stephen Pippin, Today's Honoree. Bookmark the permalink.